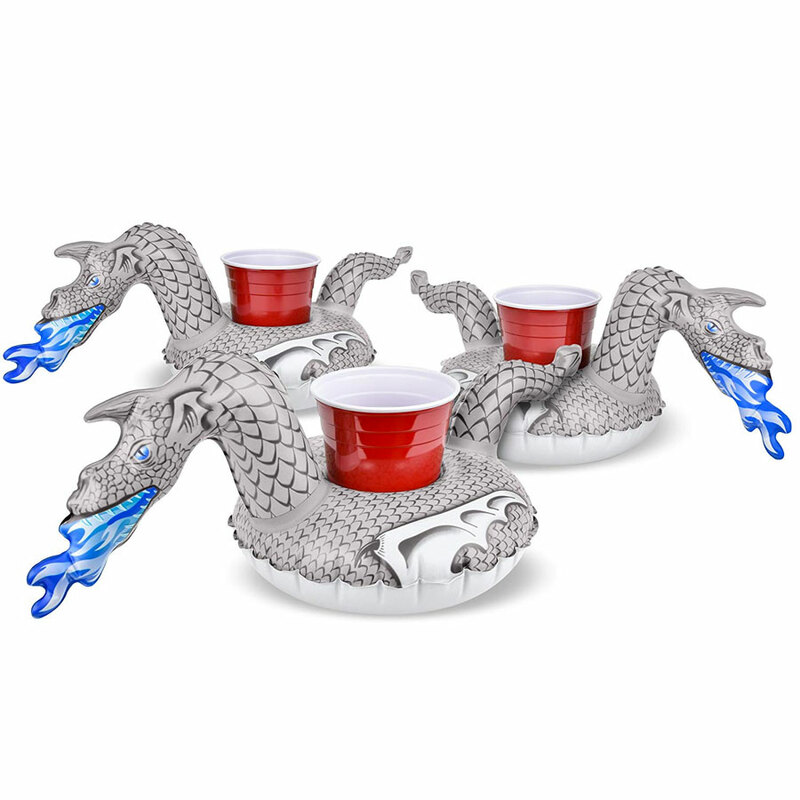 While I generally prefer Daenerys' dragons that haven't been killed and resurrected by the Night King, when we're talking Fire & Ice Dragon inflatable pool drink holders, I think I'd go with the Ice Dragon over the Fire Dragon. White Walkers taking over Westeros, terrible. White Walker servants keeping my beers cold and afloat on the water this summer...I'll take a GoFloats 3-pack, please. 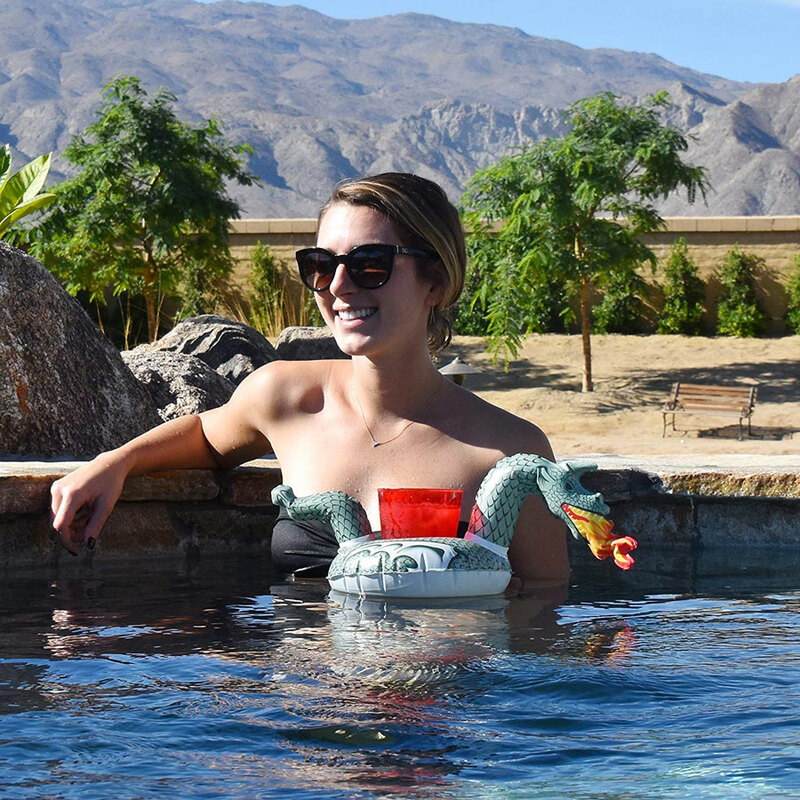 GoT an inflatable Iron Throne for me to cruise around the pool on too? 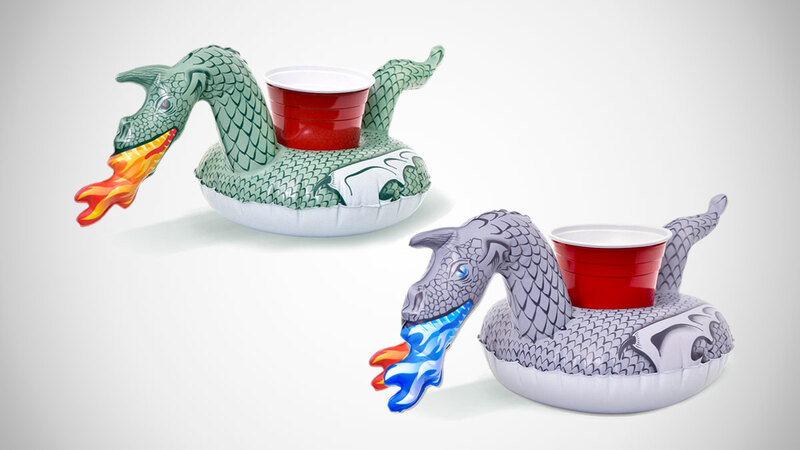 GoFloats Fire Dragon and Ice Dragon drink holders are extra buoyant rafts that won't flip over, and should work with most sizes of beverage container, though, as a heads-up to my wife and mother-in-law, maybe not the whole bottle of Champagne. You'll still need your Hand to hit you with the Bubbly Blaster for that.